The online presence of organizations is more important than ever before, but presence alone is not enough. To reach their full marketing potential and to make well-informed decisions, businesses need accurate data and insight. Easier said than done: data-driven decision-making is a buzzword in many organizations, but it is common to not really know how to put it into action. Why are organizations flooded with data but lacking insight? In this blog post, we talk about some of the challenges of data tools and explain how outsourcing analytics might answer your problems. Google Analytics is a great tool, but it is seriously underused by most businesses. Google Analytics is an incredibly versatile and powerful online marketing tool, and the the basic, non-enterprise version is completely free. Still, it is very underused by most businesses, especially smaller ones. Why do businesses barely scratch the surface of what could be achieved with Google Analytics? We believe the answer lies in difficulties setting up the platform or in the methods of interpreting retrieved data. The tool does appear very technical: it has hundreds of different features and unless you know exactly what you’re looking for, it’s easy to perceive it all as overly complex and time-consuming. In addition, most companies don’t really know which metrics are relevant to their specific type of business, and the thought of taking the time to study analytics just to find nothing concrete to act on is discouraging. None of us want to waste time – we want clear, concise directions in order to make our decision-making more efficient. While some see data analytics as overly complex, there is also a misconception that running web analytics means simply setting up a data tool for your site and revealing the number of monthly visitors. While this number might be interesting, it doesn’t yet tell you how to improve your marketing techniques. Analyzing data takes time and skill and needs the expertise of specialized digital analysts. For data to offer real value, numbers have to be chosen carefully and interpreted so they can provide something concrete to act on. Only then can data become an useful tool for identifying roadblocks and pointing out possible flaws on a website. If you want to know more about the benefits of data, check out this blog post. Outsourcing can help you stay focused on your core competencies and not get distracted by decisions that do not really belong to your area of expertise. Outsourcing increasingly includes website analytics, which is a very competitively advantageous field. When you make web analytics a part of your site, service and everyday business, you are doing something that a lot of your competitors haven’t even thought about. Web analytics doesn’t only benefit the client, but also the agency offering it as a service. Too often, clients have to find one agency for development and design and another one for analyzing website data, even though relying on a single agency would make much more sense. When one agency is responsible for the whole project, everyone will be better on track of what is happening now and what is happening next. Great digital solutions require close collaboration and clear communication between all parties. It is essential to know which metrics and features matter the most for your business. Let’s say you have found an agency to design and develop you a website or an application. You are looking forward to a long-term partnership with them and can’t wait for your beautifully built digital product to launch. Then the agency offers web analytics on top of the other stuff. Should you accept the offer? The answer is yes: it is data that will bring actual value and contribute to the growth of your business. Outsourcing analytics to the right professionals and relying on accurate data instead of assumptions is one of the best business decisions you can make. It might also be helpful if the teams working for you are all under the same roof: they will be able to form form a clear picture of what your business needs, compared to a situation where you outsource different operations to different agencies. Analytics is not something you run only after your new website has been built, and data is not interpreted just to see if previous work has been fruitful or not. It is a cyclical process that starts the moment you want to point out the issues and roadblocks with your current site or service and determine what your customers really want. 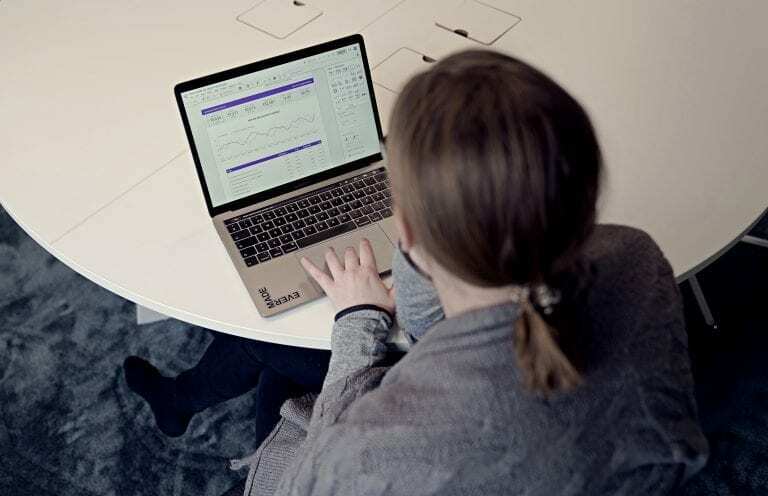 We believe that analytics is an essential element in creating top-notch digital solutions, but we also understand that interpreting data can be an overwhelming and time-consuming task when you are trying to focus on your core competences. Doing something without measuring it is essentially guesswork, and no one should have to rely on assumptions when making business decisions. That’s why we commit to using quantitative, precise information with all of our clients, measuring the effectiveness of decisions and giving solid advice on how to make businesses more profitable. At Evermade, whether it’s a progressive web app, a website or an e-commerce project, data shapes our work and helps us achieve outstanding results. Interested in our services? Let’s get in touch!